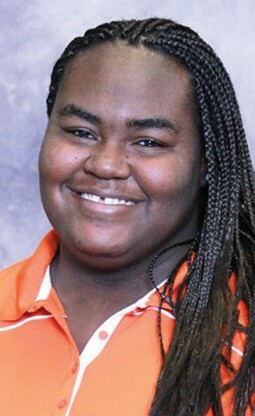 Savannah State sophomore Torrian Wright was named the Mid-Eastern Athletic Conference (MEAC) Preseason Softball Player of the Year, the conference announced on Wednesday from Norfolk, Virginia. Wright earned the 2013 MEAC Rookie of the Year award after she recorded 51 hits, 37 runs, and led the conference in home runs with 16. In her freshman debut, Wright set single season school records in home runs and RBI (51). She led the team in batting average (.384), slugging percentage (.797), and hits (53). In the current season, Wright leads the conference in home runs with 11. She is batting .351 with 26 hits and 32 RBI. SSU junior Amber Hallman and sophomore Antonette Smith joined Wright in the All-Conference accolades. Hallman and Smith were named to the MEAC All-Conference Second Team. Wright was also voted to the MEAC All-Conference First Team. Hallman batted .295 in her sophomore year, with 37 runs, 43 hits, and 36 RBI. Smith batted a .320 in her freshman season, with 39 hits, and 15 RBI. The Lady Tigers were voted to finish third in the MEAC Southern Division behind Bethune-Cookman. Florida A&M was picked to win the Southern Division Title. Hampton’s Jailynn Jackson was voted Preseason Pitcher of the Year. The Lady Pirates were picked to finish second in the Northern Division behind Norfolk State. The MEAC Preseason Honors are voted on by head coaches and sports information directors. Savannah State opened MEAC play this past weekend with a three-game series against Florida A&M. They travel to Durham, North Carolina to take on North Carolina Central in a three-game MEAC series this coming weekend. SSU is 17-15 overall this season and 1-2 in conference play. The 2014 MEAC Softball Championship is scheduled for May 8-10 at the Ormond Beach Sports Complex in Ormond Beach, Florida.